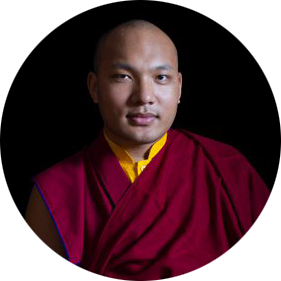 After reaching out to disciples all over the world with his teachings, empowerments, and the brilliance of his presence, His Holiness the 16th Gyalwang Karmapa, Rigpe Dorje, passed away in the American International Clinic in Zion, Illinois on November 5, 1981. For Buddhist practitioners, the area where a great lama chooses to pass away is filled with blessings, and so it becomes a place of pilgrimage. 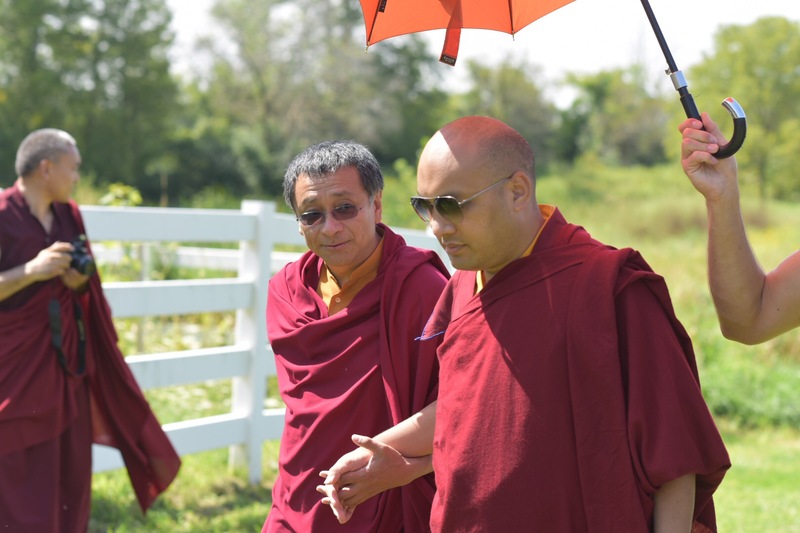 Just as Kushinagara, the site of the Buddha’s parinirvana, is visited by pilgrims from far and wide, the Karmapa Center 16 was created to provide a site for those wishing to honor and receive the blessings of the 16th Karmapa. These days, ten acres of classic American prairie also encompass a farmhouse and outbuildings. 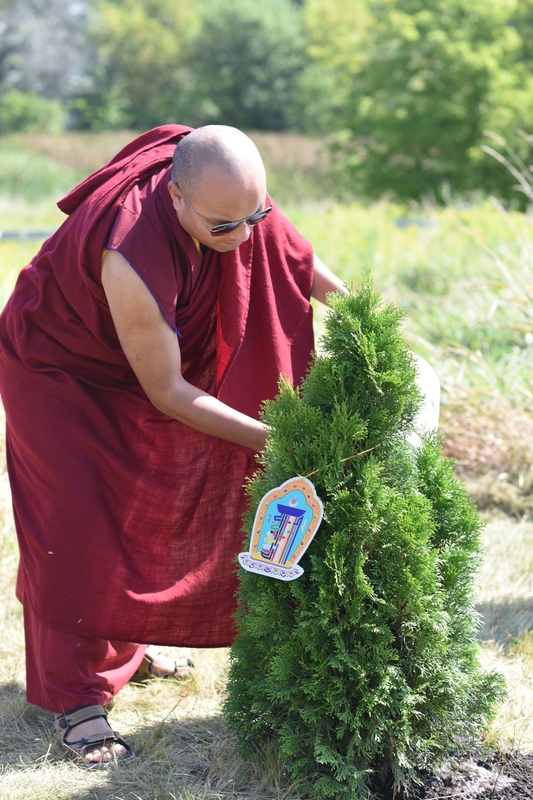 The land will be home to a stupa (representing the fully awakened mind), a temple, and retreat housing. 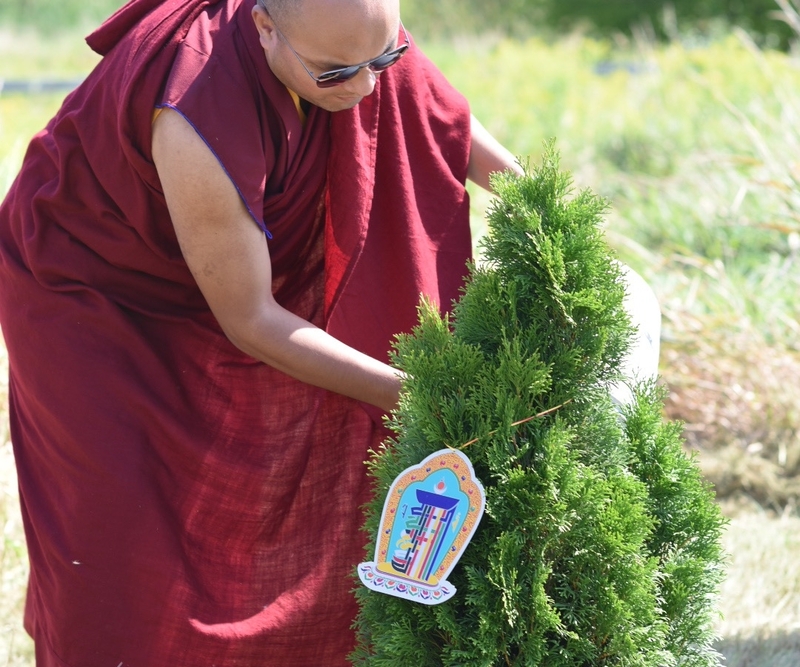 Rigpe Dorje had encouraged the building of stupas, as they are not only the focus of practice and blessings but also benefit the environment and living beings while serving as a protection from natural disasters. 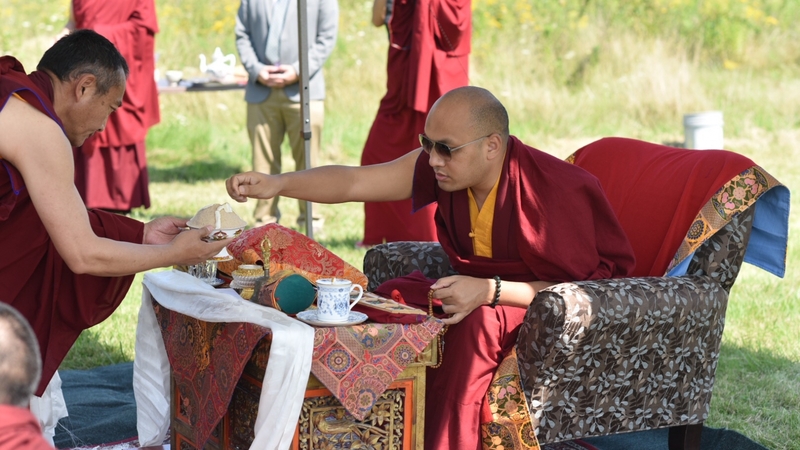 In June of 2015, the 17th Gyalwang Karmapa visited Illinois and performed a ground blessing ceremony for a stupa on the land. 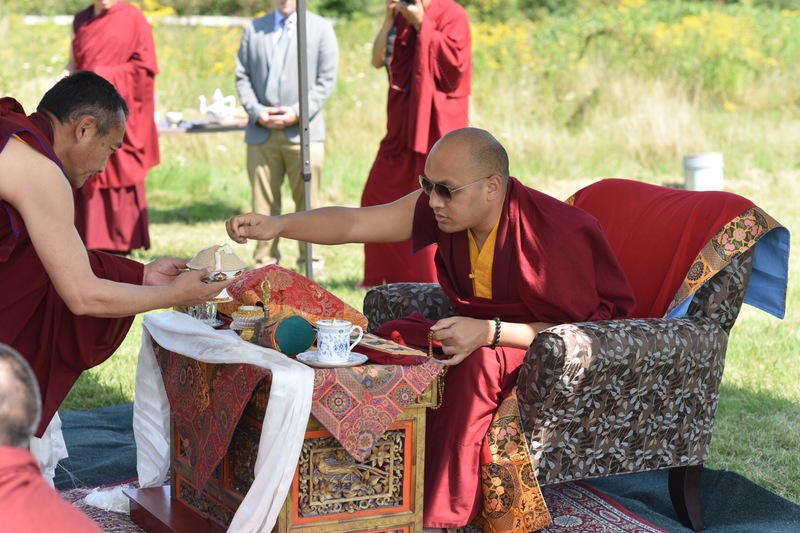 Recently, on August 30, the Karmapa returned to the center where Dilyak Drupon Rinpoche, Dzogchen Ponlop Rinpoche, and members of the center greeted him with a traditional tea and rice ceremony. 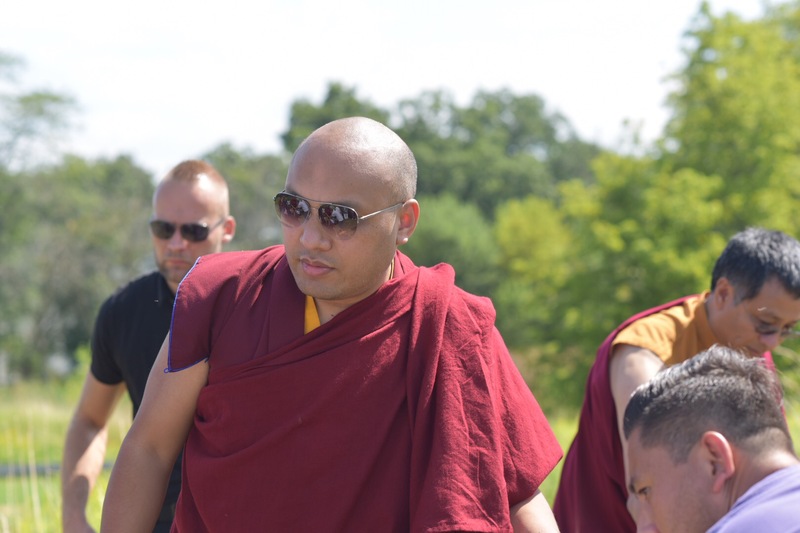 The next day, they all came to be with Karmapa who conducted a smoke offering known as Riwo Sangchö to benefit the area. 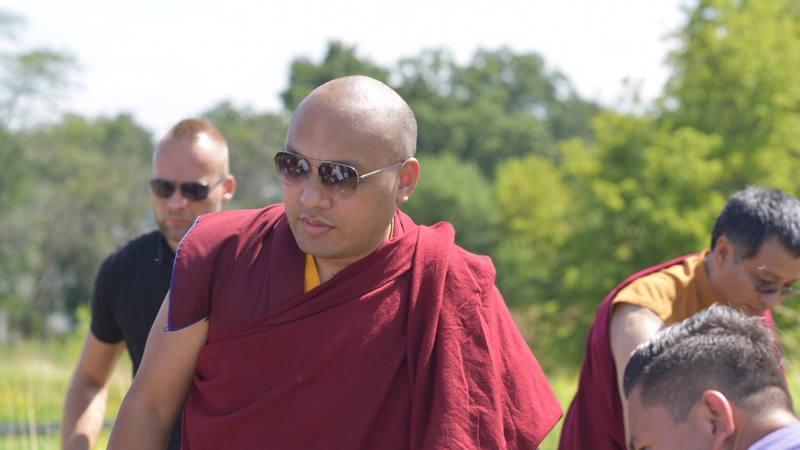 The Karmapa also planted an evergreen tree on the land, and afterward a beautiful sun halo appeared above in the sky. 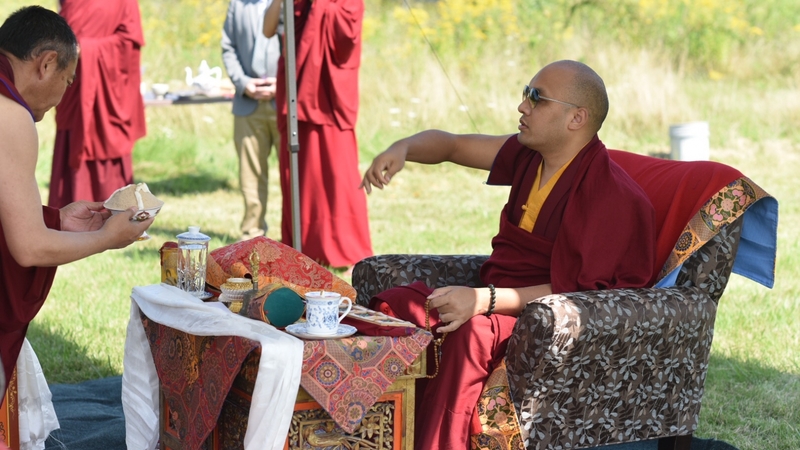 In the late summer evening, the Karmapa shared a dinner on the lawn with the two Rinpoches, Wadsworth Mayor Glenn Ryback, members of the Board Trustees, local friends, and supporters. 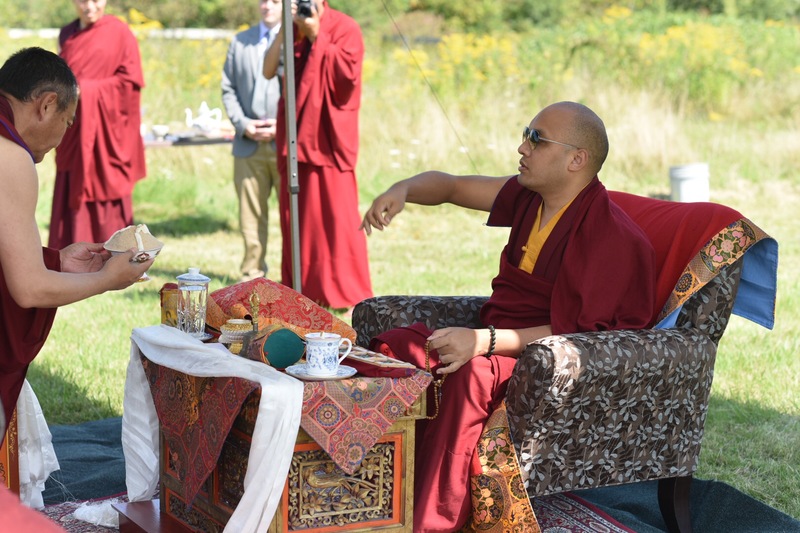 On the following day, the Karmapa visited the center once more to give advice about the project before returning to the East Coast.